When it comes to cooking, adding bacon to everything automatically makes things better. It’s man law. One of the things that you absolutely need to do as a man is to know how to cook amazing dishes for your friends, your family, and if you’re dating, to impress your woman. First get a sharp knife and cutting board and slice small strips of bacon. 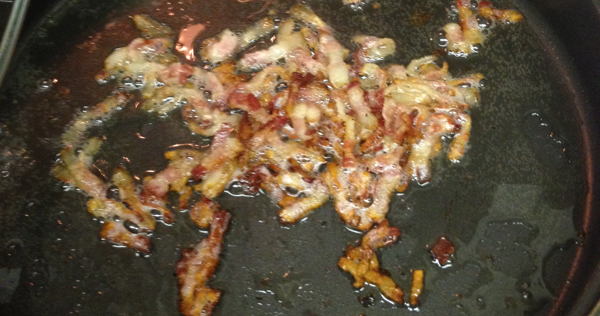 Drop your sliced bacon into a nice 12″ skillet (preferably a deep one) and start frying your bacon at a medium heat. This should be common sense but those of you who are new to cooking – don’t put any butter or oil. 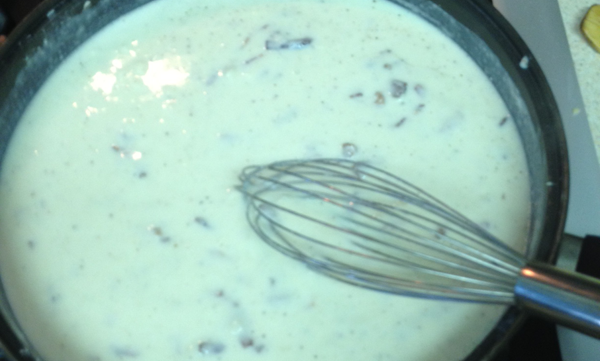 Bacon frys in its own fat and creates plenty of grease (which we’ll use). Cook your bacon until its nice and brown – and headed towards crispy. 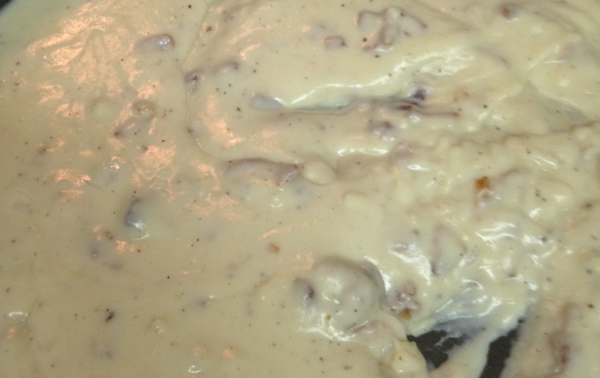 As you can see there is plenty of grease from the bacon; don’t drain it! Stir in the flour so that it absorbs the grease and fat and then add the salt, sugar, pepper, garlic salt, and red pepper.